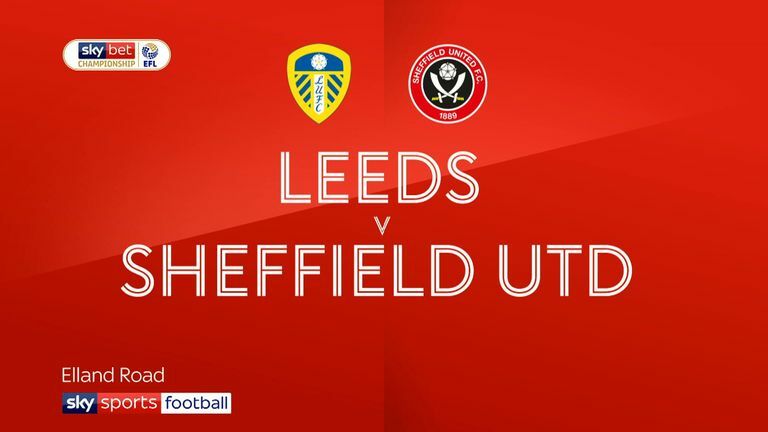 Sheffield United struck what could prove to be a decisive blow in the automatic promotion race as they beat Leeds 1-0 in a fiery clash at Elland Road. Chris Basham scored the only goal on the counter-attack in the 71st minute after the hosts had done the majority of the running but failed to take their chances. As a result, the Blades are now a point ahead of Leeds in second place in the Sky Bet Championship, the home side dropping to third, but the cost for the Whites could be even greater. Goalkeeper Kiko Casilla, so crucial to their promotion charge, was sent off late on as he tried to recover a Liam Cooper error, while crucial defender Pontus Jansson ended up in goal after injuring his knee. As has now been the case 23 times this season, leaders Norwich won again, with Leeds' defeat putting them four clear of Sheffield United. Highlights of the Sky Bet Championship match between Brentford and West Bromwich Albion. The Canaries were 2-1 victors at Rotherham, Ben Godfrey's 57th-minute goal the decisive one, after goal machine Semi Ajayi had cancelled out Kenny McLean's opener for the visitors. 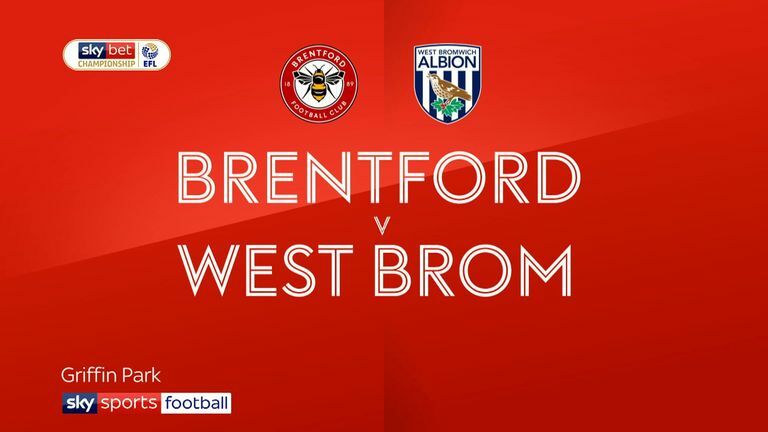 Managerless West Brom remain in distant if not pointless pursuit of the top three, winning 1-0 at Brentford thanks to a goal from Kyle Edwards six minutes after half-time. There is more pressure on Middlesbrough boss Tony Pulis, despite his side being fifth, as they were well beaten 3-0 at Aston Villa, who are sixth. Anwar El Ghazi (28) opened the scoring and John McGinn wrapped it up before the break, with Albert Adomah adding a late third. Preston are level on points with Villa thanks to a 90th-minute, 1-0 win over Birmingham given to them by Sean Maguire. 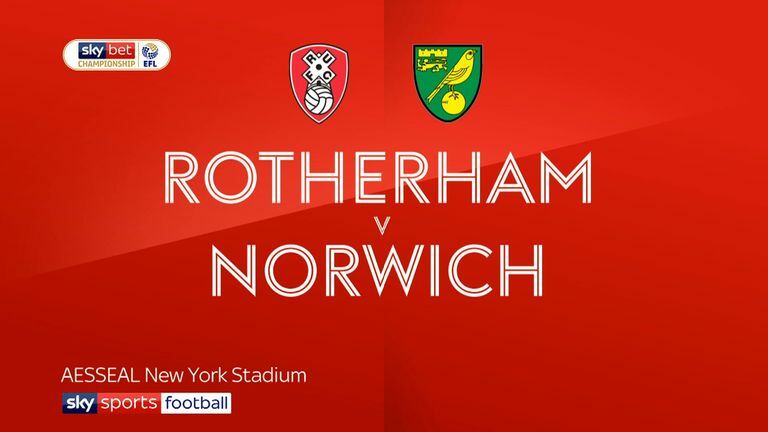 Highlights of the Sky Bet Championship match between Rotherham and Norwich. Steve Bruce's Sheffield Wednesday are firmly in the play-off hunt, only two points out of the top six after a 4-2 victory at home to Blackburn. Steven Fletcher (10) and Atdhe Nuhui (60) put the hosts in charge and, after Craig Conway replied, Dominic Iorfa made certain with 11 minutes left. There was still time for more goals, Marco Matias for Wednesday and Elliott Bennett for the visitors in the dying minutes. Highlights of the Sky Bet Championship match between Leeds and Sheffiefld United. Wigan secured a vital result in their battle to beat the drop as they overcame a doomed-looking Bolton 5-2. Joe Garner, Gavin Massey, Nick Powell, Michael Jacobs and Leon Clarke all scored for the home side, with Gary O'Neil and Sammy Ameobi replying. Stoke and Reading drew 0-0, while bottom side Ipswich were held 1-1 by Nottingham Forest, Collin Quaner's Town opener cancelled out by Jon Nolan's own goal.